WASHINGTON - He grew up amid extraordinary privilege, a wealthy Nigerian banker’s son who attended top international schools and traveled to the United States. But some time this year, according to relatives, Umar Farouk Abdulmutallab became an enemy of the West. As a student living in London and Dubai, Abdulmutallab, 23, had worried his family with his embrace of an increasingly radical view of Islam. Then, about six months ago, he renounced his wealthy lifestyle, broke all ties with his parents and disappeared. Family members suspected he had gone to Yemen, his mother’s native country. On Friday, Abdulmutallab surfaced when he was arrested and charged with attempting to set off a bomb while flying in a jetliner packed with holiday travelers. He told US investigators he was striking a blow for a Yemeni branch of Al Qaeda, a group that two months ago called on followers to kill “apostates’’ and Westerners by using all means, including home-brewed explosives on airplanes. US counterterrorism and law-enforcement officials said that Abdulmutallab had easy access to US and European targets, owing to his Western education, his fluency in English, and a multiple-entry US visa. The suspect’s mode of attack - detonating a few grams of the powerful military explosive PETN hidden on his body - is similar to tactics used by another failed suicide bomber with known links to Al Qaeda’s branch in Yemen. Although authorities were operating under the theory that he acted alone, they did not rule out the possibility that others, including Al Qaeda operatives, may have known about or helped the suspect. His father - Alhaji Umaru Mutallab, the recently retired chairman of one of Nigeria’s top banks and a frequent visitor to the United States - has acknowledged that the suspect is his son. He said he had alerted Nigerian and US embassy officials six months ago about his son’s increasingly militant views and was surprised to learn that the young man had been allowed to travel to the United States. In an interview with the Associated Press, he said he thought his son “might have been to Yemen’’ in the months since he severed ties with the family. A Nigerian newspaper, This Day, quoting relatives, said the family had been “uncomfortable with the boy’s extreme religious views,’’ leading to the decision to alert law enforcement officials. Abdulmutallab grew up in one of Nigeria’s most affluent families, with luxury houses in Lagos and central London. According to relatives, he developed an early reputation as a serious, devoutly religious young man, even during his high school years. His frequent sermonizing earned him the nickname Alfa, a local term for Islamic scholar. Basiru Sani Hamza, 35, said Abdulmutallab was very religious and very obedient as a boy. Rimmer said Abdulmutallab had been well respected but showed some signs of inflexibility. In a discussion in 2001, he was the only one to defend the actions of the Taliban in Afghanistan, Rimmer said. At the time, he thought the boy was just playing devil’s advocate. During a school trip to London, Rimmer said, Abdulmutallab became upset when the teacher took students to a pub and said it was not right to be in a place where alcohol was served. After graduating, he studied at University College London and earned a degree in mechanical engineering. 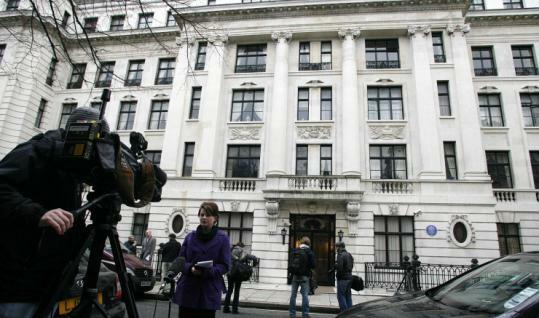 While attending school in London, Abdulmutallab lived in a seven-story family mansion near Oxford Street that is said to be valued at more than $4 million. Last year he moved to Dubai to continue his studies, and while there he announced to family members he was breaking off contact and traveling to a place where he could not be reached, according to relatives. US Representative Peter Hoekstra of Michigan, ranking Republican on the House Intelligence Committee, said he had been told by credible sources that the US government knew that Abdulmutallab was involved with Al Qaeda for at least a couple of months, perhaps even a couple of years, he said. Hoekstra said his sources have told him that the suspect has ties to Yemen and “most likely’’ has ties to Anwar al-Awlaki, the radical cleric who led mosques in San Diego and later in Falls Church, Va., and who met with several Sept. 11, 2001, hijackers before the attacks. Awlaki, a US citizen, moved to Yemen a few months after the attacks. Abdulmutallab apparently traveled to Yemen and may have been in contact with Awlaki, Hoekstra said. US counterterrorism officials said they could not confirm ties between Abdulmutallab and Awlaki.